Bean to cup coffee machines have to be one of the best inventions ever for coffee lovers. Within minutes – or often less – you can be enjoying a cup of perfectly ground, perfectly poured, fresh coffee. 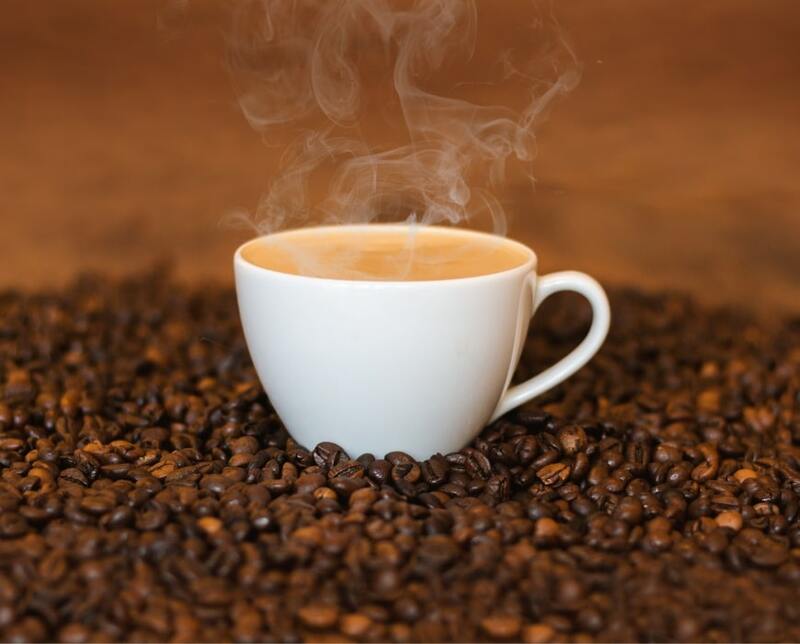 If like us, you’re a coffee fanatic, then you already know the importance of factors such as bean, grind, water temperature and pressure, and milk frothing is to making your perfect coffee drink. And the simplest and easiest way of recreating barista-quality coffee in your own home is with a bean to cup coffee machine. But there’s no denying that they’re a significant investment in your coffee habit, with even a decent entry-level model costing around £200. And, as with all things coffee related, there’s a bewildering choice out on the market. Here at Barista Del Caffe, we’ll guide you through the maze of bean to cup machines, from the most basic to the most expensive, to help every coffee lover find the perfect machine for your home. What’s in our bean to cup coffee machine guide? We know that every coffee lover has their own idea of the perfect cup. But, however you take yours, we know that weak, lukewarm, bitter, or just poor quality coffee isn’t on your list of preferences. That’s why we’ve produced this guide to the top machines available in the bean to cup coffee machine market today, all from the most reputable manufacturers in the market. You can rest assured that each machine we review produces top quality coffee as a matter of course. For this reason, our guides cover a whole range of other factors, such as ease of use, the range of coffees, functionality, advanced features, ease of maintenance, and all-important customer ratings. However, even though we would personally recommend every one of the machines we review, it doesn’t mean that every one of them is right for you. Coffee preference, budget, and the functionality that matters to you will all play a part in making sure you invest in the right machine for your needs. Sadly, most of us have a budget we have to live within, which is why our list of recommended bean to cup machines includes machines from entry to premium level machines. Whatever your budget you’ll find the right machine for your money. Heston Blumenthal is best known for his avant garde cooking, so it’s not surprising that when he chose to put his name to a bean to cup coffee machine, it was going to be a little out of the ordinary. 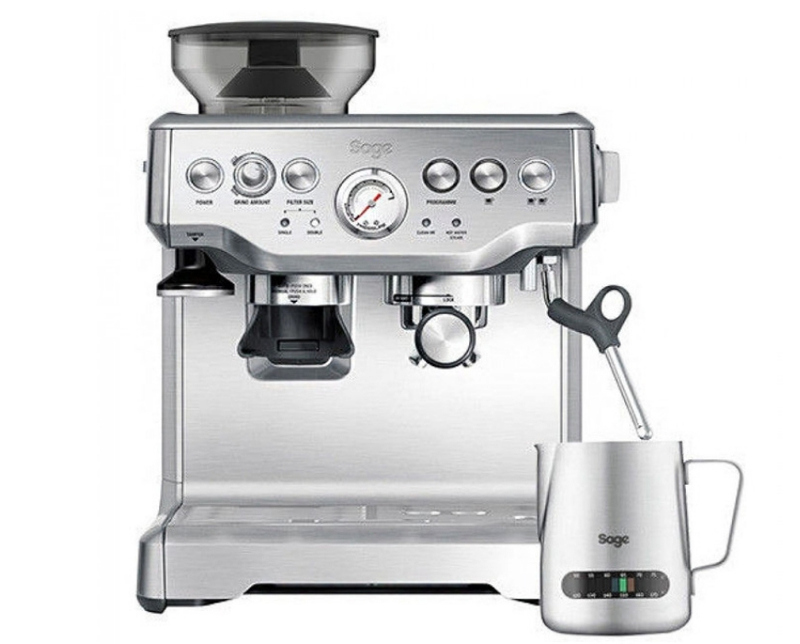 The Sage by Heston Blumenthal isn’t your standard midrange bean to cup coffee machine. While many midrange bean to cup machines boast an impressive range of pre-set programmes, the Sage by Heston Blumenthal puts you in control instead. 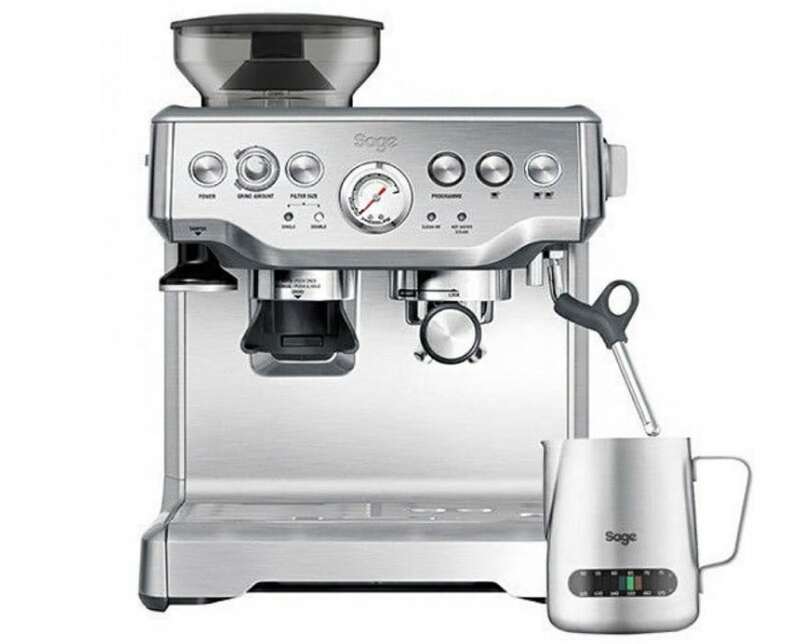 Whatever type of coffee you enjoy, you’ll be able to make it with the Sage by Heston Blumenthal, but you’ll be honing your barista skills as you do. While it automatically measures and grinds the perfect amount of beans for a single or double espresso, beyond that it’s up to the user to put in the labour to customise their cup. The Sage by Heston Blumenthal is fitted with a ClaroSwiss water filter that, in many cases, removes the need to descale the machine, except in very hard water areas. This filter needs replacing every three months, and the coffee filters every couple, but both are easy to do. The steam wand requires manual cleaning. Functionality in the Sage by Heston Blumenthal is limited. It isn’t a machine for those that want a range of coffees with a single push of a button. While it’s highly configurable, the basic programmes are just that – basic. It’s down to the user to change the volume and strength, add water, or manually froth milk to make their preferred coffee. And with no way to store your preferences, it’ll take time and practice to get a consistent result every time. Feature-wise, the Sage by Heston Blumenthal unusually uses a double water pressure system. An initial low pressure gently soaks the coffee so that it expands for better extraction at the professional 15 bar pressure. There’s no option to change the water temperature, and some coffee lovers find 71 degrees Celsius a little hot for their taste. As a single boiler machine, there’s a delay in being able to use the steam wand as it takes time to heat the water to the necessary temperature. Whether the Sage by Heston Blumenthal has enough features to justify its price tag is a matter of individual choice. For those who enjoy having ultimate control over their coffee and who have the patience to spend the time, then it’s ideal. For those looking for a less labour-intensive bean to cup experience, then this is one to avoid. 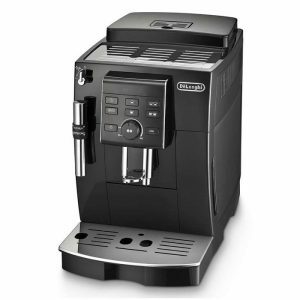 De’Longhi is a recognised heavy hitter in the bean to cup coffee machine market. From entry level through to their most expensive models, they feature consistently in best buy and recommended lists. 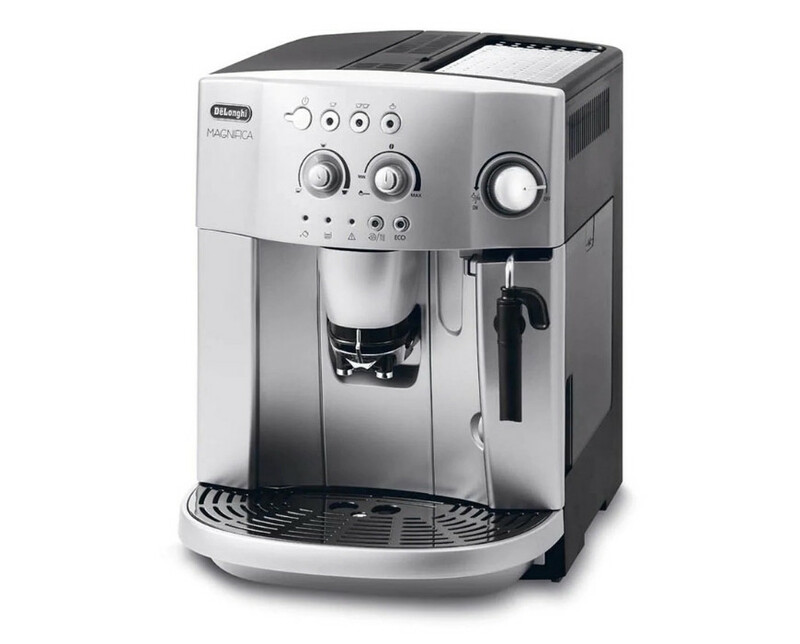 The high-quality De’Longhi Caffe Corso ESAM2800 is no exception to that rule, combining value for money with the famous De’Longhi quality. A bean to cup machine should make producing good quality coffee at home as uncomplicated as possible. The De’Longhi Caffe Corso ESAM2800 certainly achieves that aim. Users report enjoying their first coffee within half an hour of opening the box, thanks to its simple set-up. Boasting the standard De’Longhi high quality burr grinder, the De’Longhi Caffe Corso ESAM2800 features an adequate seven different pre-programmed grind options, controlled by a manual dial. A second dial allows users to set their preferred volume of coffee for their perfect strength and length. The manual milk frother is also simple to use, enabling users to produce a wide range of coffees, from espresso to latte. 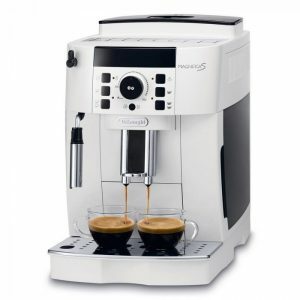 Although one of the most basic entry level bean to cup coffee machines on the market, it still boasts a number of standard De’Longhi features and maintains the brand’s reputation for high quality. Alongside its professional standard 15 bar pump for perfect water pressure, it also features De’Longhi’s advanced patented thermoblock boiler system that ensures consistent water temperature whether you’re making two cups at once, or have left the machine standing for some time. The instant reheat option is another handy feature when you’re looking for an instant caffeine hit. Cleaning the De’Longhi Caffe Corso ESAM2800 is simple too. Both the brewing unit and drip tray are easy to remove and wash, and their removal allows access to the some of the inner workings for ease of cleaning. The inbuilt rinse and decalcification auto-programmes make maintaining your machine simple and easy for optimal performance, although the lack of water softener can mean that it needs cleaning more often, especially in hard water areas. 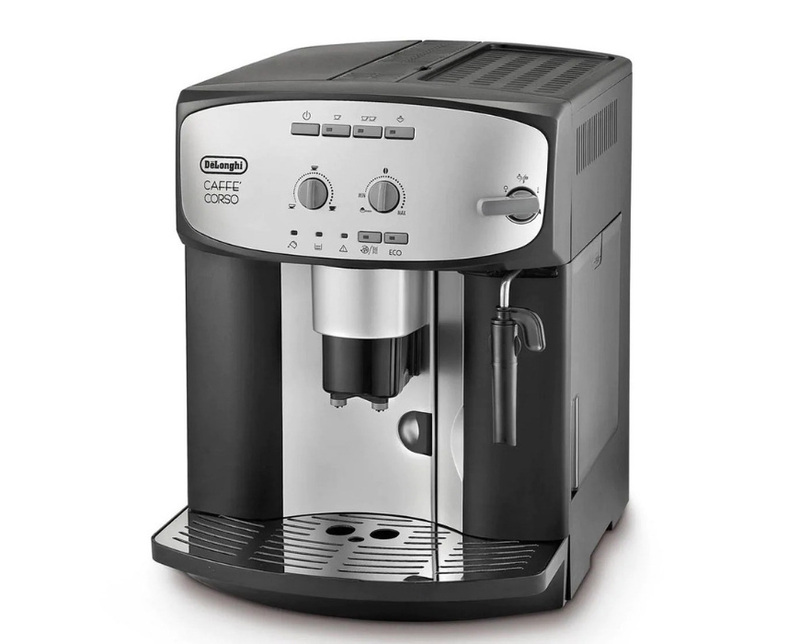 Although it features few bells and whistles, there’s little to criticise about the De’Longhi Caffe Corso ESAM2800. The milk frother lacks power; the bean hopper isn’t removable making changing beans difficult; and while it takes ground coffee, it tends to clog the machine. Some users also consider the grinder to be particularly noisy. 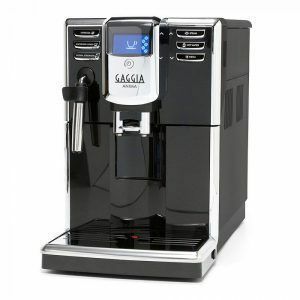 But, for an easy to use high-quality entry level machine at a price that beats most of its competitors, the De’Longhi Caffe Corso ESAM2800 is a real contender. 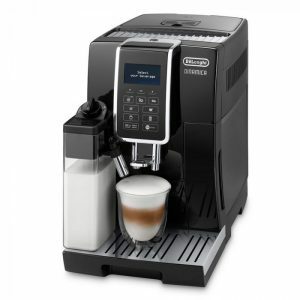 De’Longhi is a recognised brand within the bean to cup coffee machine market. 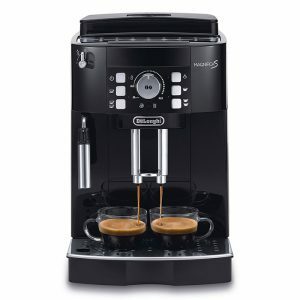 While the De’Longhi Magnifica ESAM4200 is another of their lower priced machines, it consistently features in best buy lists and is one of the most frequently bought bean to cup coffee machines in the UK. 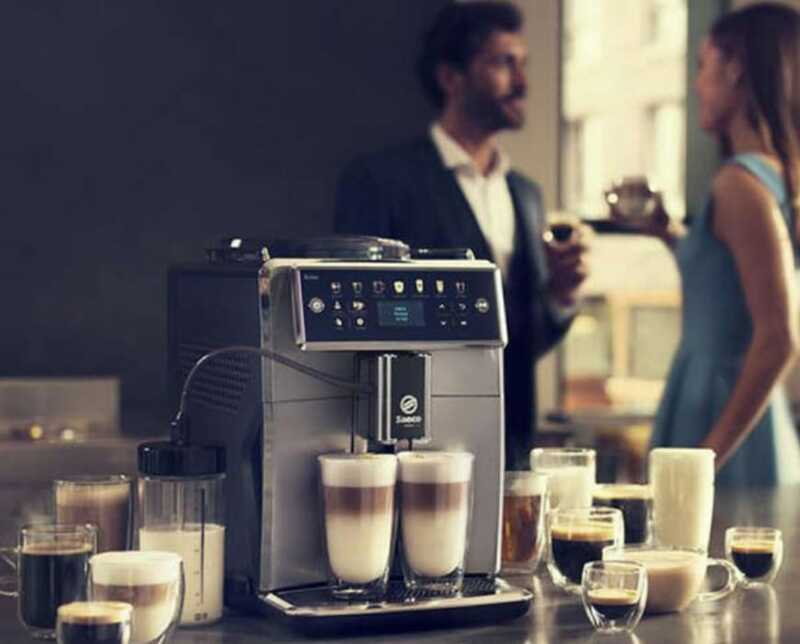 A bean to cup coffee machine should be about making great quality coffee from freshly ground beans with minimal fuss, and that’s exactly what you can expect from the De’Longhi Magnifica ESAM4200. With a high-quality integrated burr coffee grinder that’s surprisingly quiet, it boasts an impressive thirteen pre-programmed grind options. As if that wasn’t enough, the comprehensive manual clearly explains how you can personalise your coffee to meet your individual preferences. From water and coffee volume, to temperature, to milk frothing, this machine can produce every type of coffee imaginable. 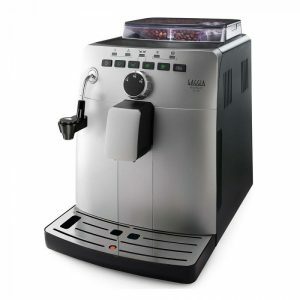 The De’Longhi Magnifica ESAM4200 might be considered a budget machine, it feels like anything but. Alongside its professional standard 15 bar pump for perfect water pressure, it also features De’Longhi’s patented thermoblock boiler system that ensures consistent water temperature whether you’re making two cups at once, or have left the machine standing for some time. The instant reheat option is another handy feature. Cleaning the De’Longhi Magnifica ESAM4200 is simple too. Both the brewing unit and drip tray are easy to remove and wash, and the inbuilt rinse and decalcification auto-programmes make maintaining your machine simple and easy for optimal performance. Of course, the De’Longhi Magnifica ESAM4200 isn’t perfect. The milk frother is manual rather than automatic, it’s slightly slower to grind the beans than some other machines, and the cup warming function is slow to kick into action, but these are minor inconveniences compared to the functionality and ease of use it offers. 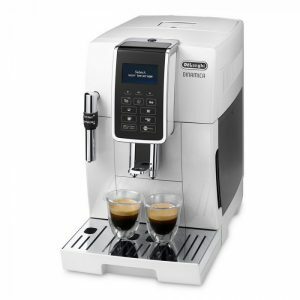 With De’Longhi’s reputation for quality, it’s no surprise that its machines of all levels frequently feature in the best buy lists. 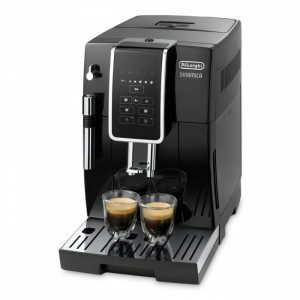 The De’Longhi ECAM44.660B Eletta is another example of why they’re so successful in this market. A midrange machine, it’s a popular choice for those looking to move up from their entry-level options. For those who enjoy a wide range of coffees, the De’Longhi ECAM44.660B Eletta has a plethora of options that’s hard to beat. The thirteen pre-programmed grind settings are complemented by the pre-set coffee types that include latte, macchiato and flat whites, that can all be produced with a single touch of a button. 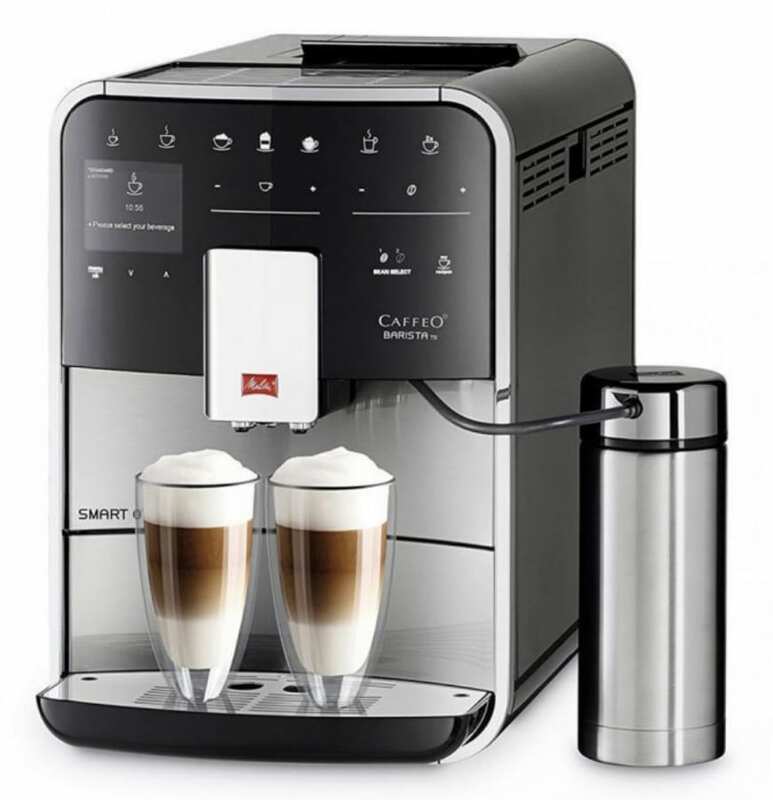 If your tastes are little more exotic, the touch-sensitive, digital LCD screen guides you through the full range of settings so that you can easily create your personalised coffee, then store your preferences for next time. The necessary and usually tedious cleaning is also simple with the De’Longhi ECAM44.660B Eletta. Its rinse and descaling auto-programmes take the fuss out of the processes, and the removable milk carafe makes it easy to clean, as well as reducing wasted milk. 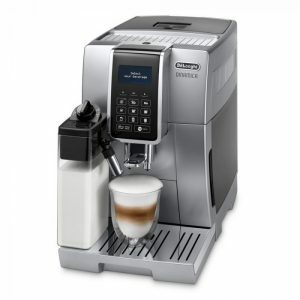 If you live in a busy home, or are short on time, the De’Longhi ECAM44.660B Eletta is an impressively speedy machine. It takes just a minute to produce an espresso from bean to cup. The two dispensers allow you to make two cups at a time, or can be used to fill a mug should you need a bigger caffeine hit. The two-litre water container also reduces the need for refilling. No machine is perfect, however, and there are some drawbacks, which mainly relate to temperature. Some users find that the coffee isn’t hot enough for their taste, and the inbuilt milk frother heats the milk to just 50-55 degrees Celsius. With no cup warmer included, milkier coffees may be too cool for some people’s enjoyment. 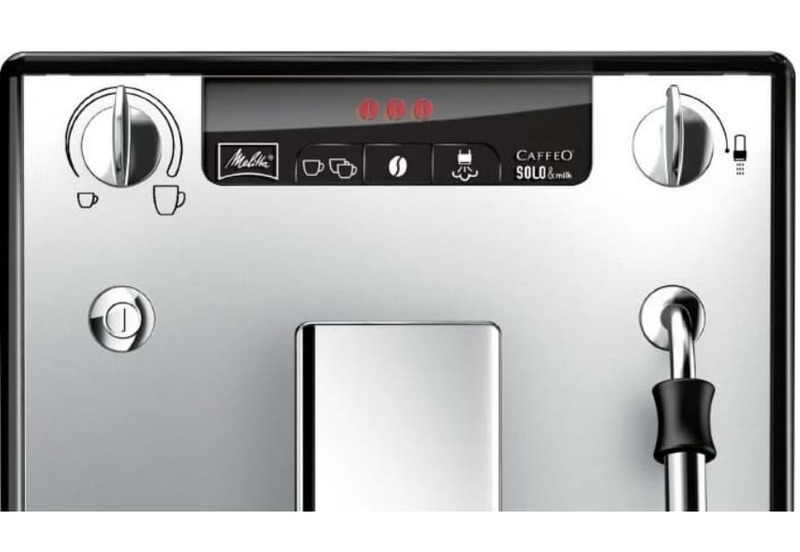 Overall, the De’Longhi ECAM44.660B Eletta has enough bells and whistles to justify its price and its popularity, with the features it offers overcoming the minor flaws the machine has. Why buy a bean to cup coffee machine? The main reason for buying a bean to cup coffee machine is to produce barista-quality coffee at home with minimal effort. Yes, it’s perfectly possible to produce high-quality coffee at home manually, grinding the beans, brewing it, and frothing the milk yourself, but that’s both time consuming and it’s both an art and a science that takes time to master. A bean to cup machine does all that for you, producing consistently good coffee from fresh beans in minutes (or less than) with minimal fuss and exertion. As any coffee fanatic knows, nothing beats the taste of freshly ground beans. Yes, it can be easier to buy ready ground but the moment coffee beans are broken down, they start to release the aroma that creates the taste into the air. Even hermetically sealed ground coffee will have lost much of these essentials elements by the time they reach you, making the coffee taste stale in comparison. With a bean to cup machine perfectly grinding fresh beans within seconds, why compromise? Why are bean to cup coffee machines so expensive? This is a question that is asked frequently. The answer is that there’s a surprising amount of technology in them, even the most basic ones. Every step from measuring the beans, grinding them, measuring the water, heating it to the correct temperature, plus milk frothing, requires its own parts and programming. However, if you think that you can easily spend over £3 purchasing just one decent cup in a coffee shop, then even a higher end machine could easily pay for itself in under a year. With even entry-level bean to cup coffee machines costing around £200 – and some machines over £1000 – you want to make sure that when you purchase your machine, you’re getting one that you’re going to love using for years to come. But choosing one isn’t simple, so let’s look at how you can narrow down your options and find the perfect machine for you. Ah, the dreaded ‘B’ word. Unfortunately, most of us have a budget we need to stick to. There’s no point falling in love with a machine that’s way out of reach financially. That’ll only lead to dissatisfaction with whatever machine you feel that you end up settling for. Be realistic about what you can afford, and the functionality and features that you can expect for that budget. One advantage of the internet is the amount of information available at your fingertips. Manufacturers will, understandably, gush about how great their products are, but get online and check out people’s real-life experiences of using their bean to cup coffee machines. Amazon is a great place to start. Check out the one and two-star reviews to see what the main complaints about each machine are and if there’s a common theme. Even positive reviews might include a few complaints or observations that are less complimentary, so they’re worth checking out too. Although we recognise that some people want to hone their barista skills, for most the whole point of a bean to cup coffee machine is to get great quality coffee with minimal effort. Some machines, such as the Sage by Heston Blumenthal, require you to perform almost all of the brewing process yourself. Others, for example, the De’Longhi ECAM44.660B Eletta can produce almost any coffee you can think of with a single touch of a button. If you’re going off the beaten path, some machines will let you store your preferences, while others have to be set up each time. And it’s fairly standard for cheaper machines to have manual milk frothers, rather than integrated ones. Ok, this isn’t the most exciting consideration, but it is an important one. Proper cleaning and maintenance will help ensure that your machine keeps working at its best and will extend its life expectancy. Cleaning bean to cup coffee machines can be time-consuming and difficult, but it’s not a job that should be put off. Luckily, many bean to cup coffee machines, even entry-level ones, now boasts automated cleaning programmes that make descaling and keeping your machine in good working order simple and easy. Be aware, though that more expensive machines often have more parts that need cleaning manually, and always check out how easy the brewing unit is to remove and clean. What do you want your bean to cup coffee machine to do? 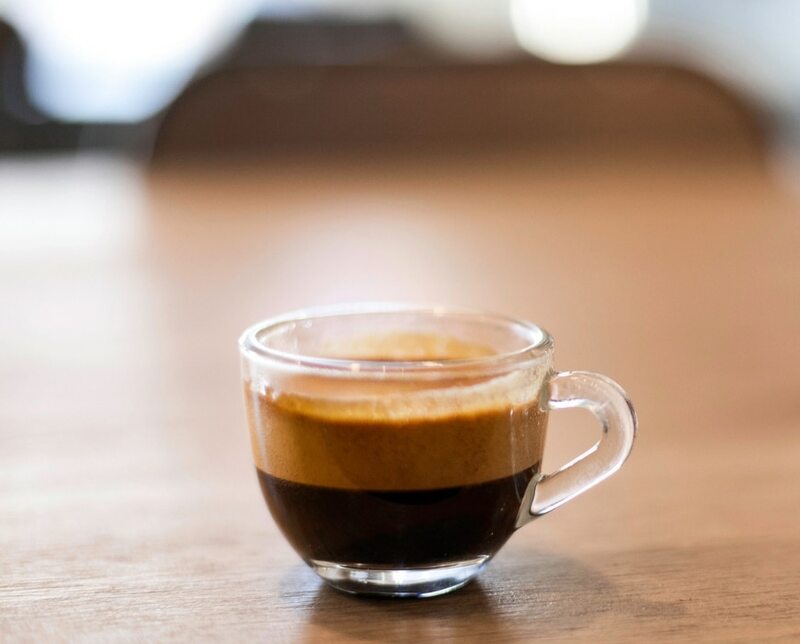 Are you an espresso lover? Or do you prefer a cappuccino or a latte? Some machines are better suited for making certain types of coffee. Do you want to be able to be able to produce a range of coffees with one push of a button, or are you looking for more of a barista experience? If your tastes are more personalised, do you want to be able to pre-programme and store your preferences? Some machines let you personalise every aspect of your coffee from grind, to strength, to volume, to temperature, to milk, while others may only produce espresso and have a manual milk frother. For those who really love their functionality and gadgets, top end machines can include WiFi and Bluetooth connectivity, so you can start brewing your coffee before you even set foot out of bed. If getting a steaming cup in your hand as quickly as possible is important to you, then speed is a key consideration. Some machines can go through the whole process in less than a minute. And if there’s more than one coffee fanatic in your home, then multi-cup brewing may well be an important factor when choosing a machine. Likewise, if you prefer a mug to a cup, a multi-cup option will guarantee a hot drink in no time. Integrated or manual milk frother? It’s pretty standard now for bean to cup coffee machines to be equipped with a milk frother. For most entry-level machines – and even some more expensive ones – this will be a manual one. While manual frothers froth milk perfectly well, it can take some practice to learn how to produce the rich, luxurious milk needed for the perfect cappuccino or latte. 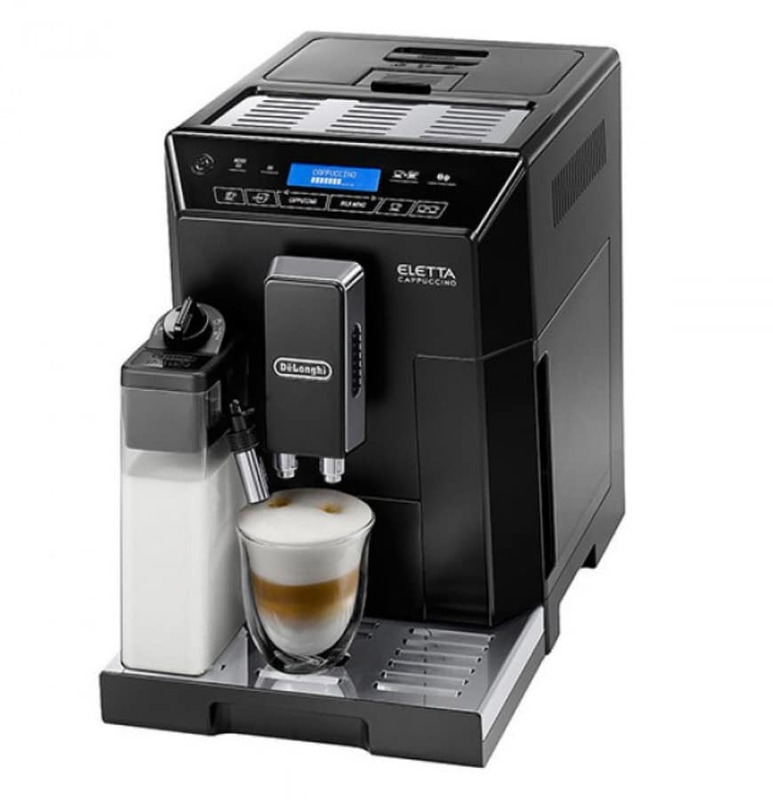 More expensive cup to bean machines often do include automatic frothers, which froth the milk internally and create the ideal creamy texture every time. For maximum speed, efficiency and ease of use, an integrated grinder is the best option. That’s why almost all bean to cup machines have an integrated grinder that enables a smooth transition from bean to steaming coffee. However, for purists who really want to hone their skills some machines, such as the Sage by Heston Blumenthal Double Boiler, require users to purchase a separate grinder. We know it’s been a long read to get to this point but you can probably consider yourself a bean to cup coffee machine expert now! Armed with this information we at Barista Del Caffe know you’re now equipped to invest in the ideal bean to cup coffee machine for your needs. So sit back, relax, and smell the coffee!